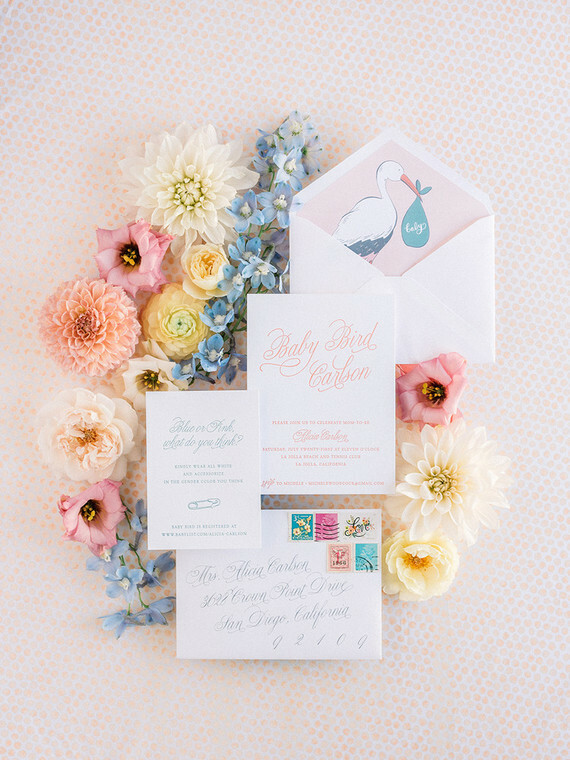 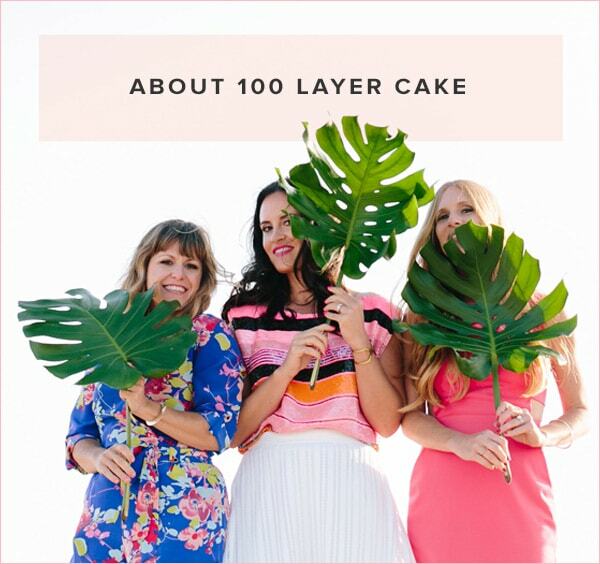 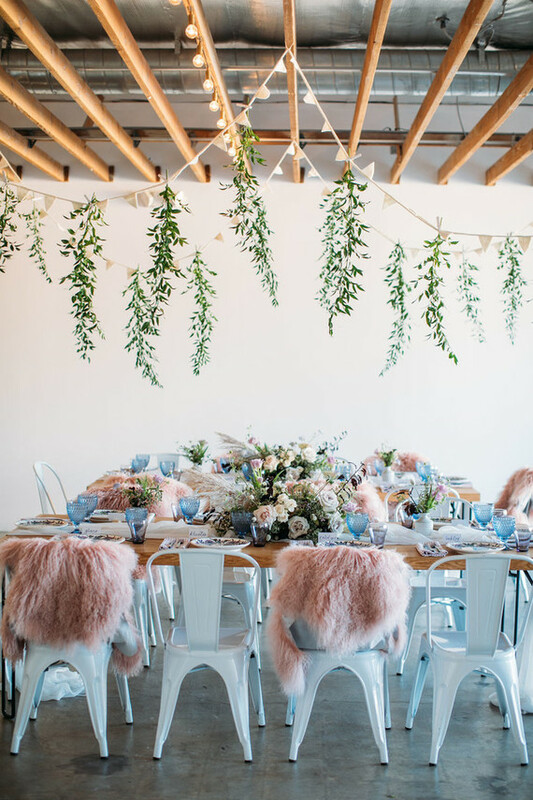 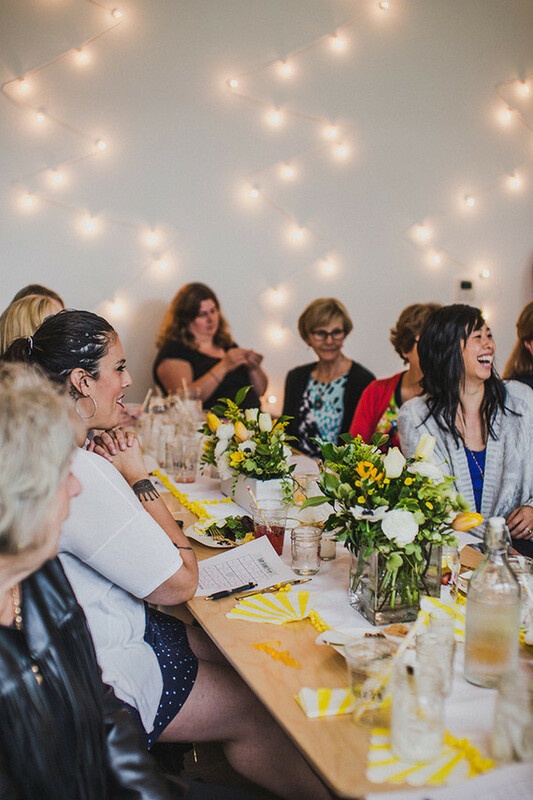 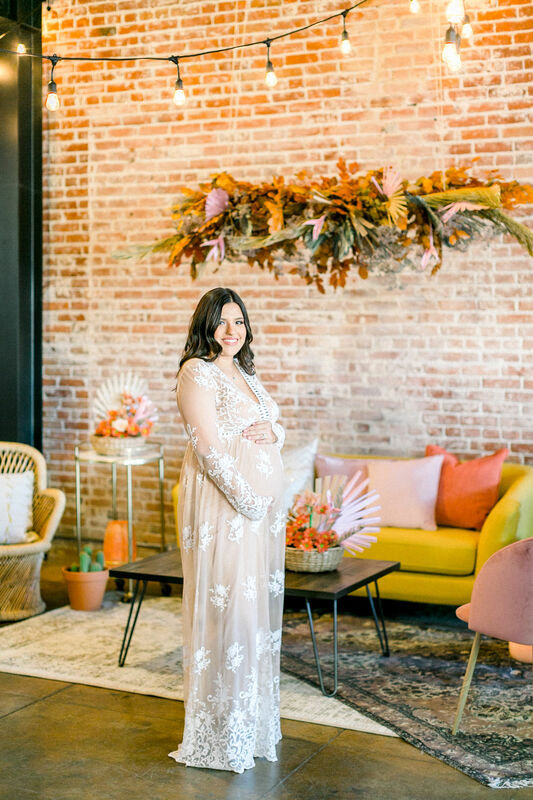 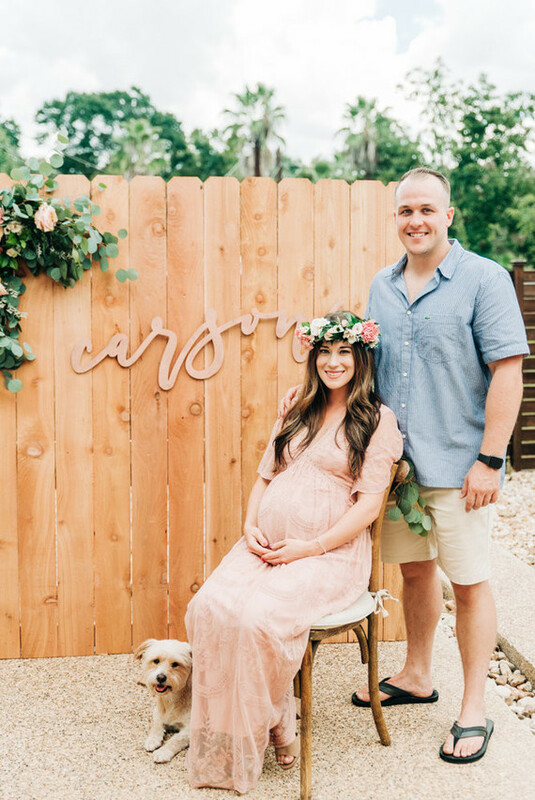 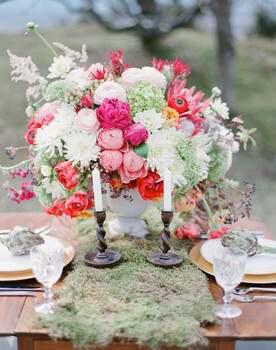 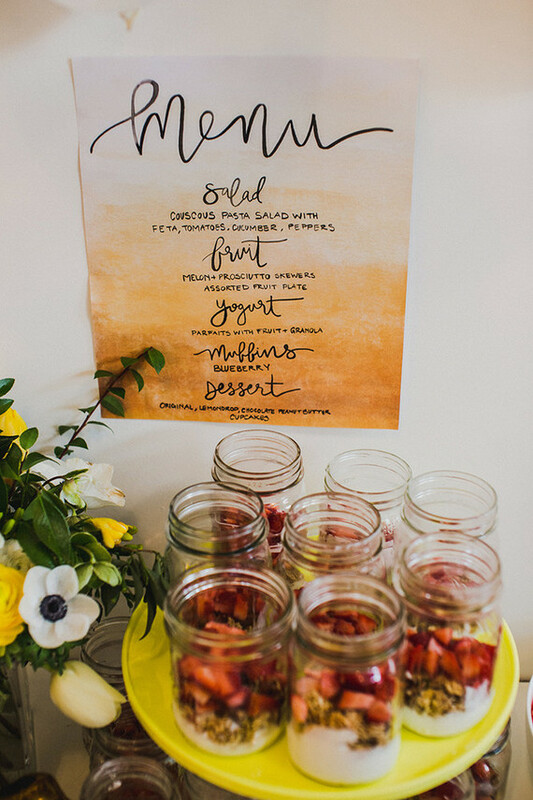 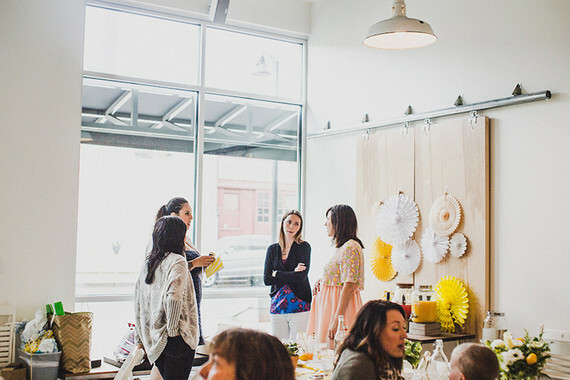 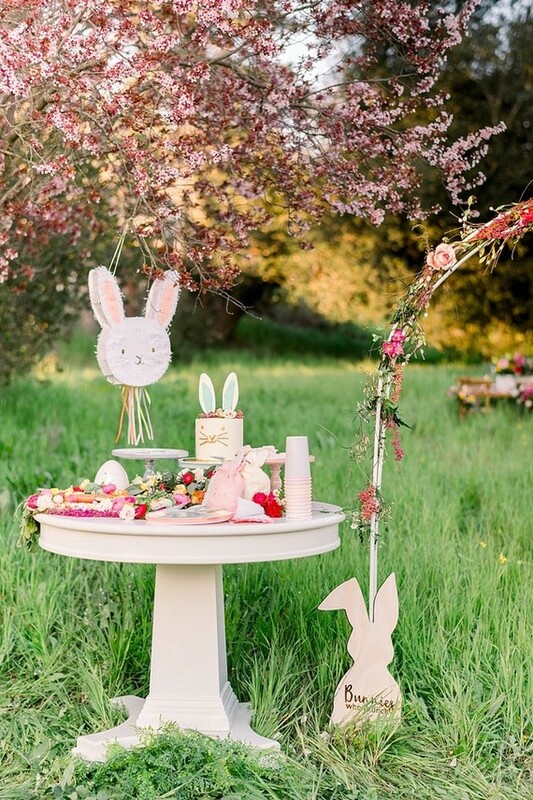 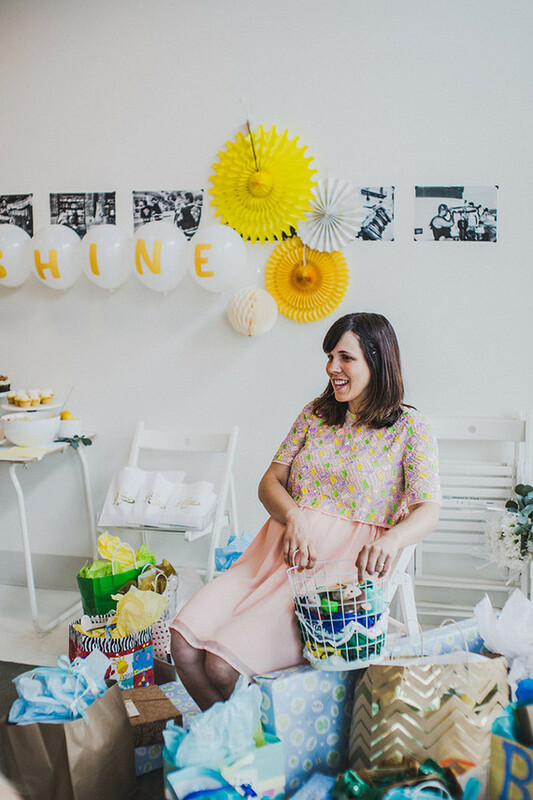 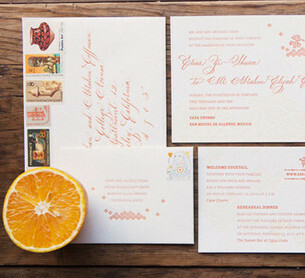 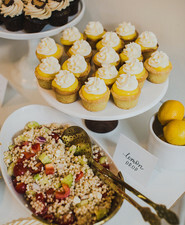 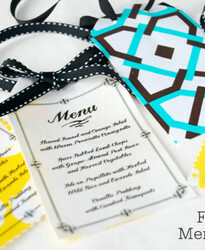 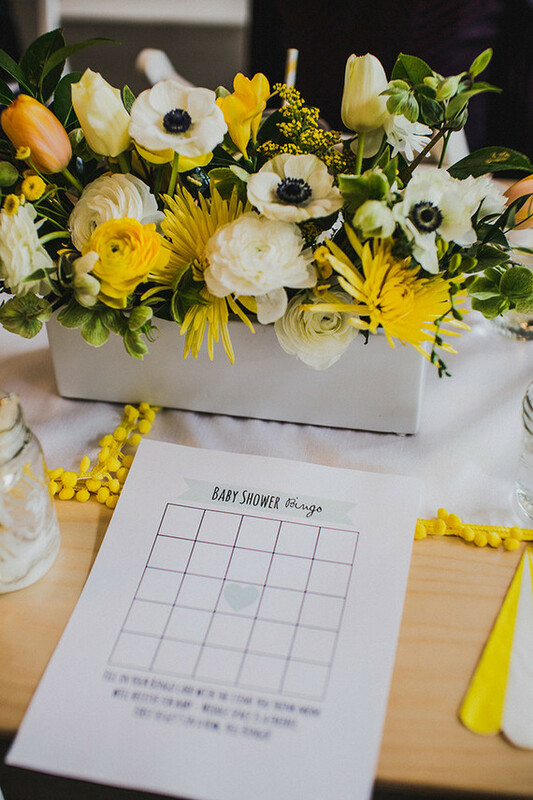 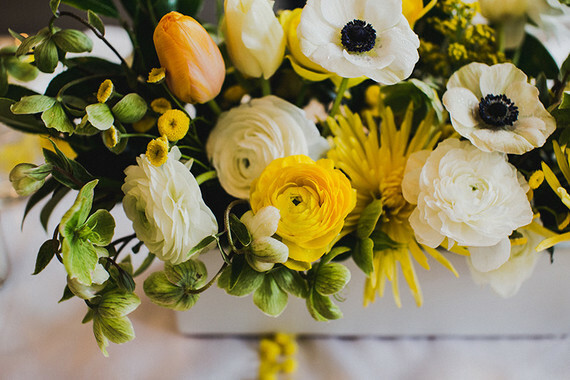 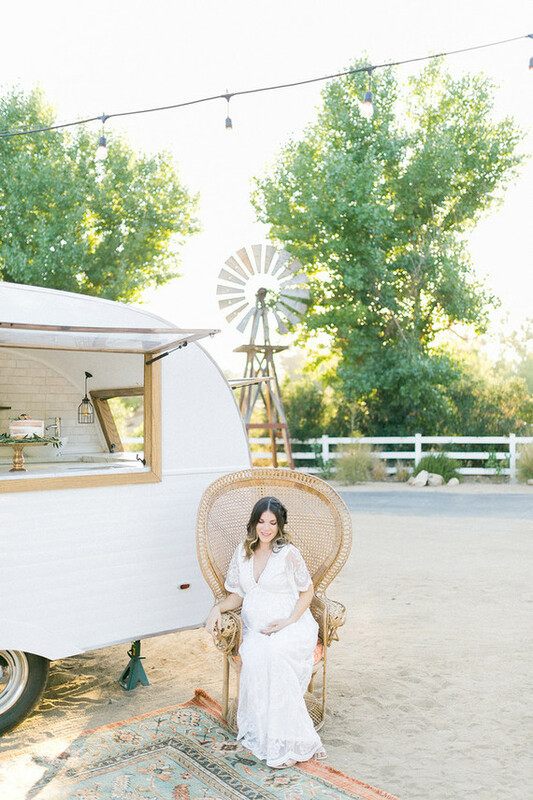 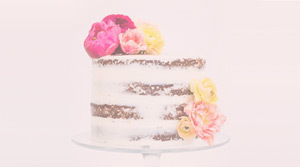 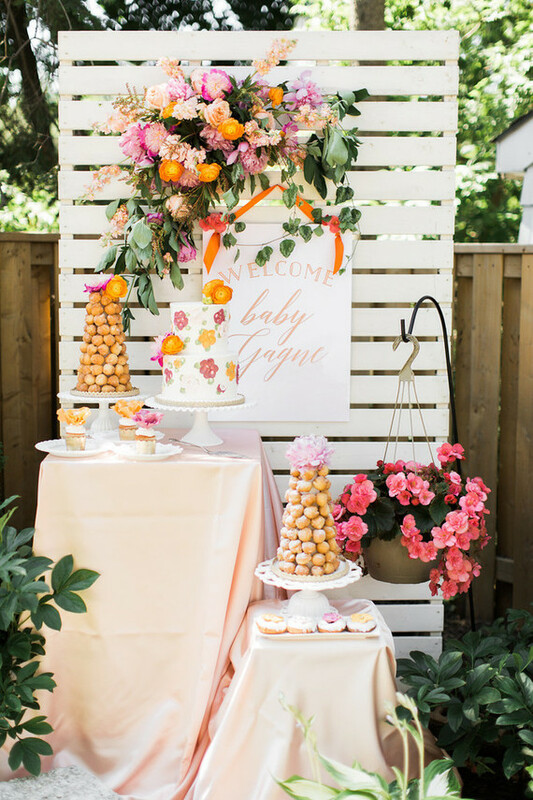 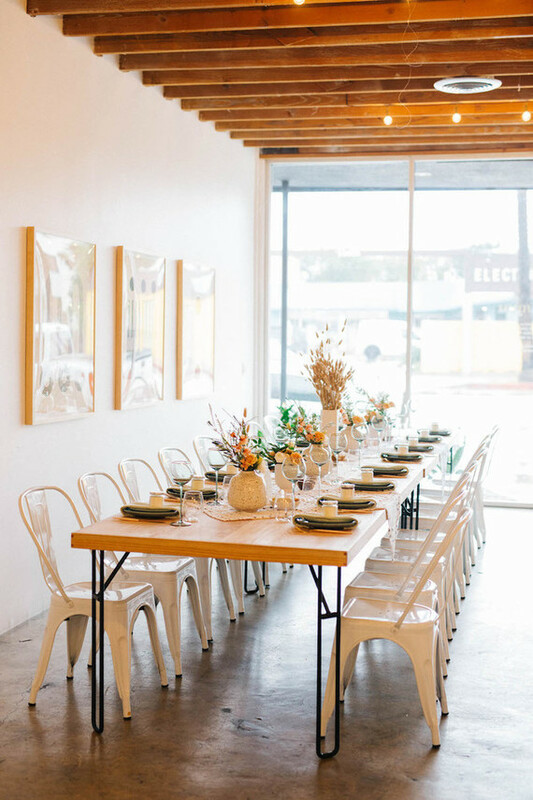 It’s official, the best way to start a new week is with sunny, happy baby shower themes. 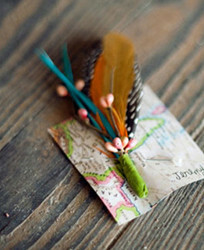 You agree? 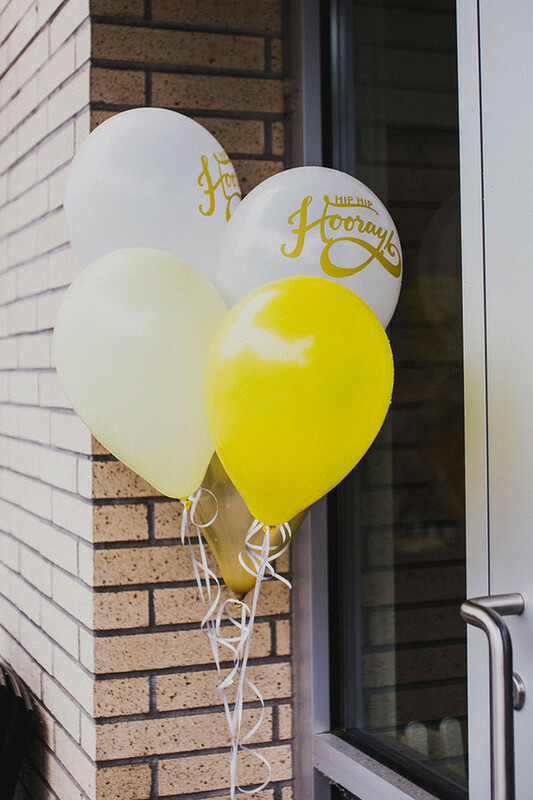 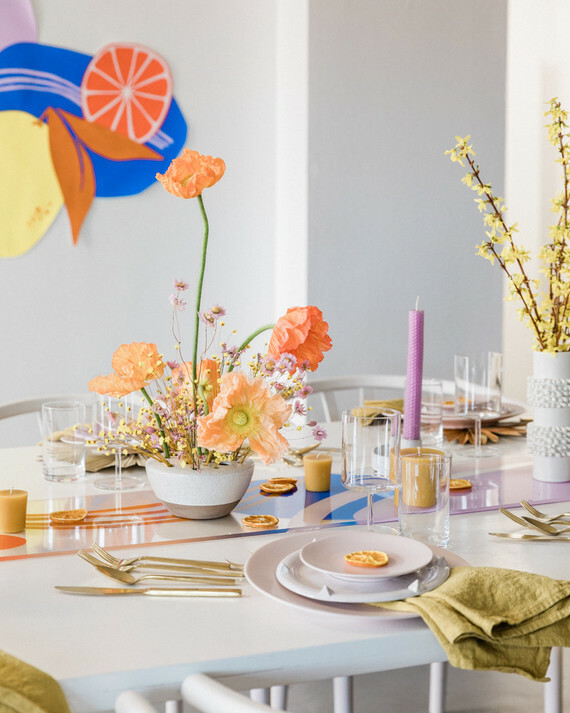 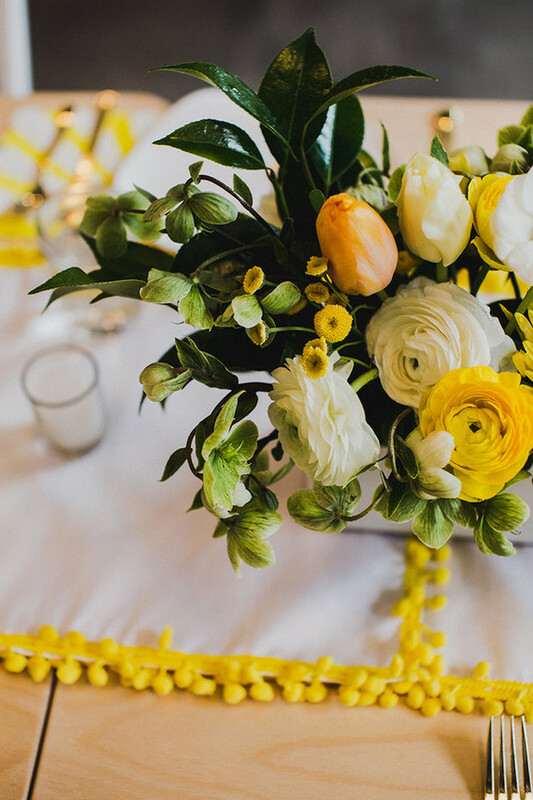 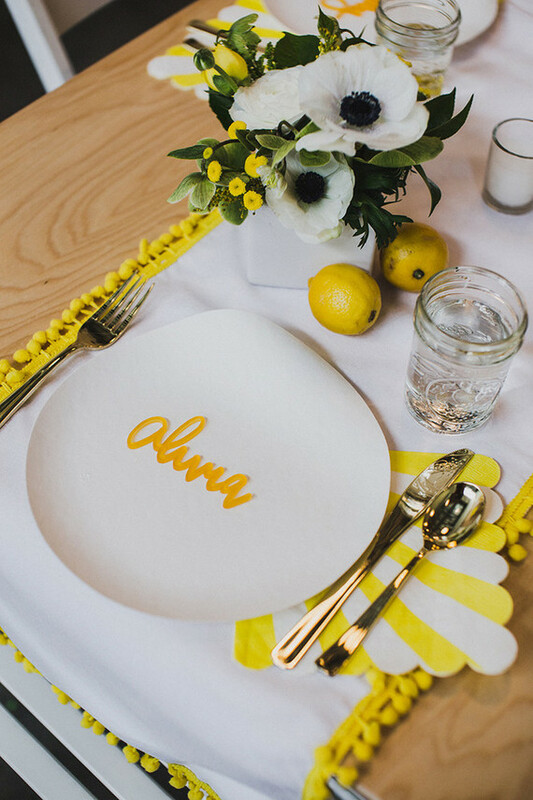 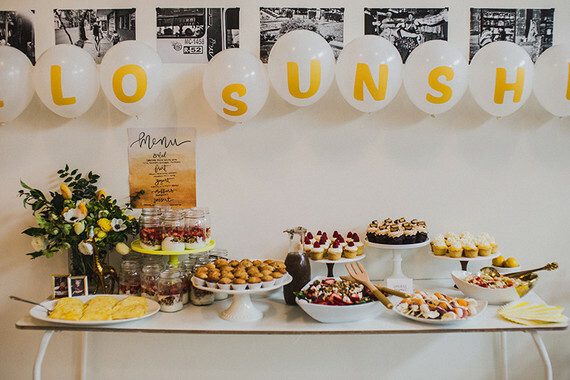 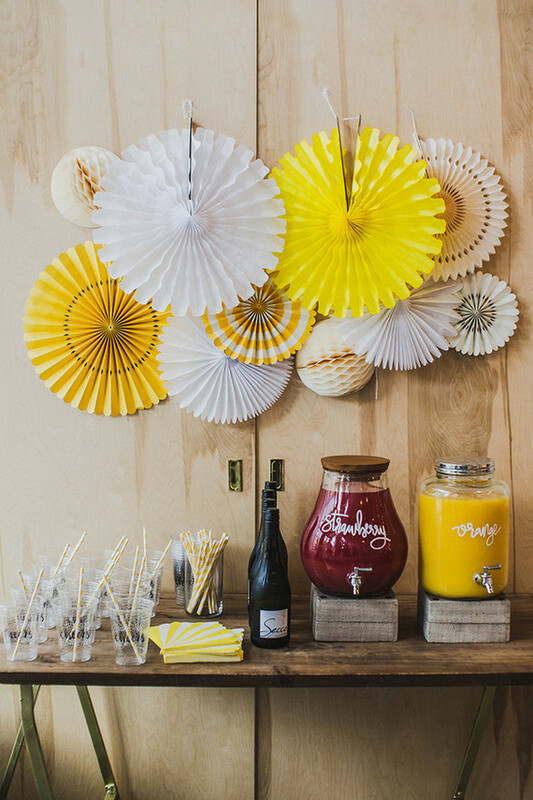 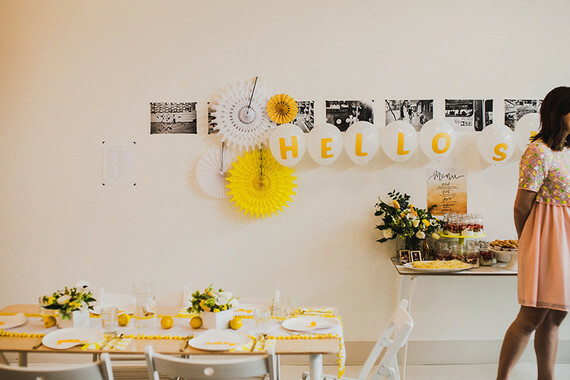 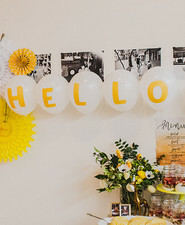 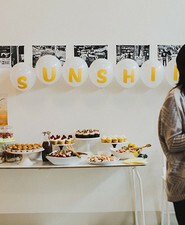 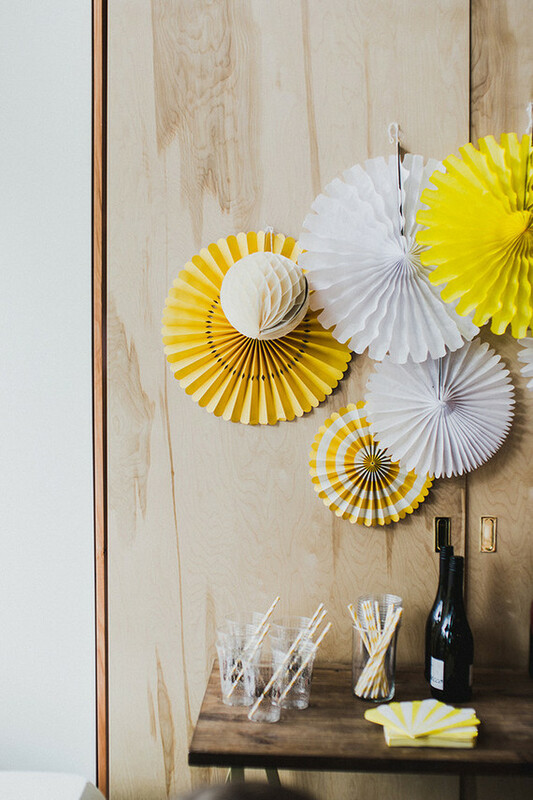 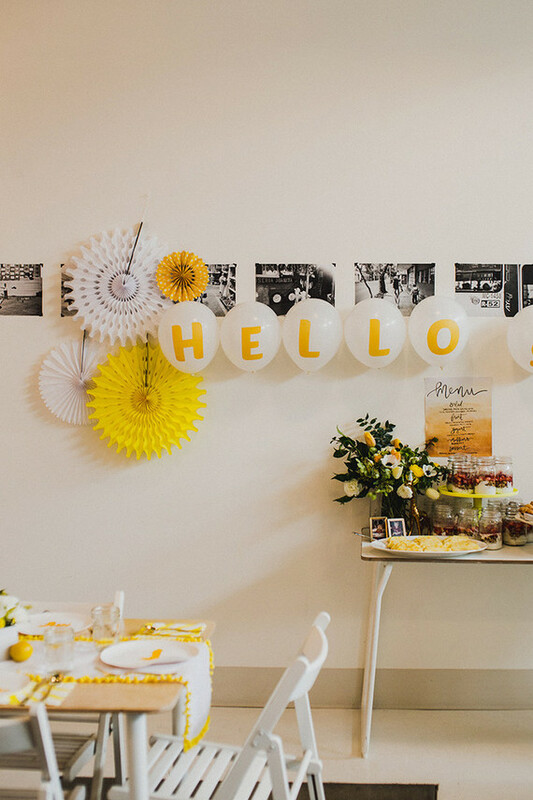 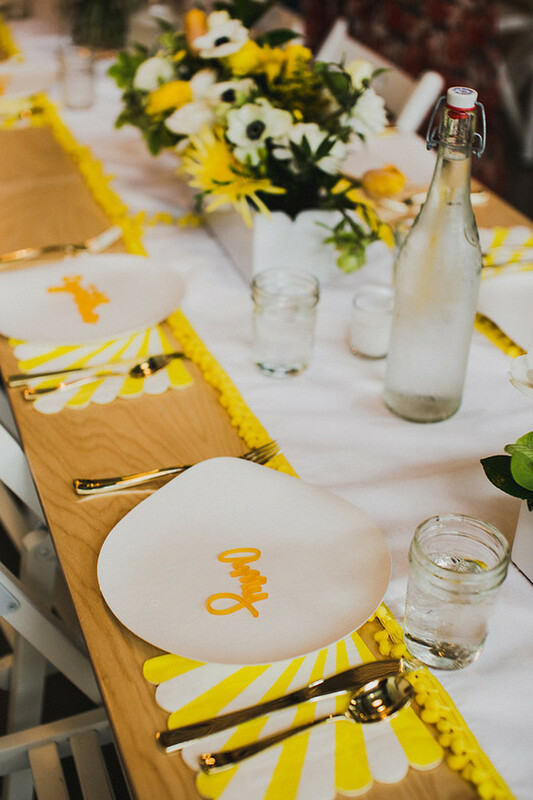 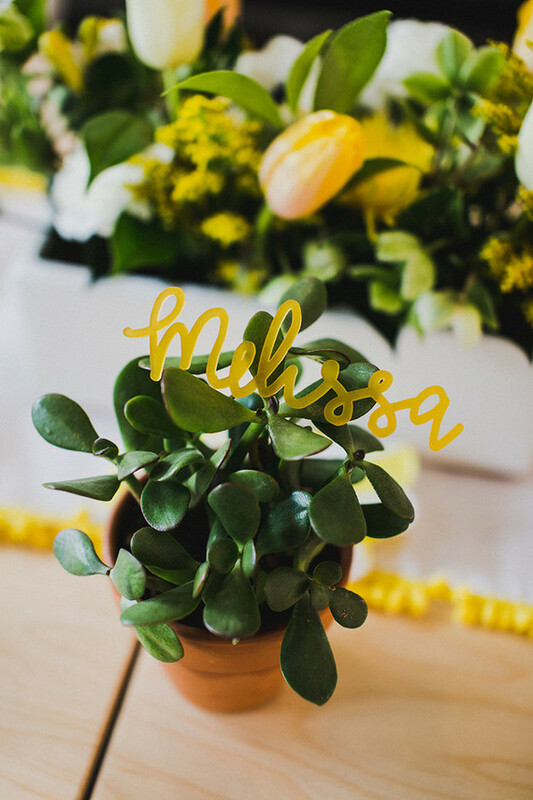 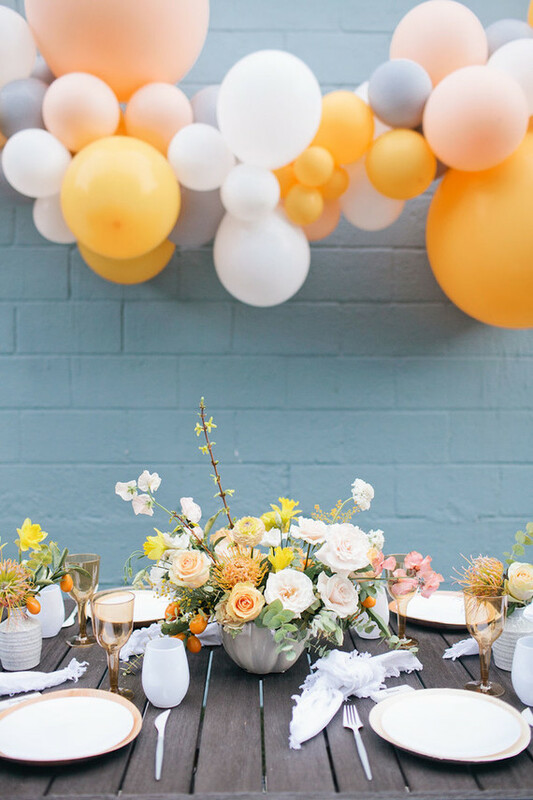 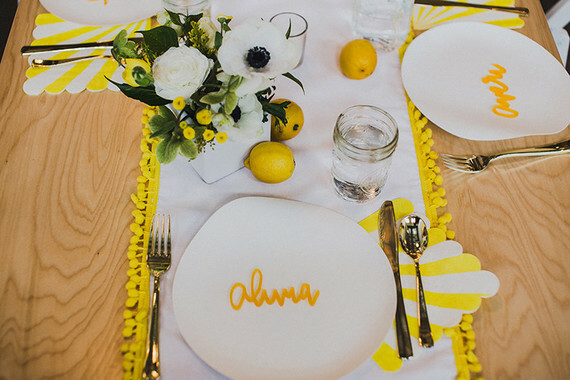 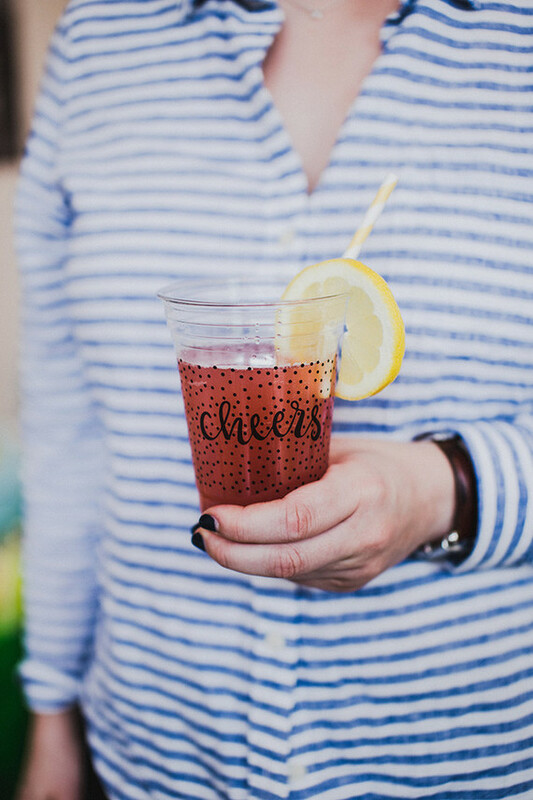 This ‘Hello Sunshine’ theme shot by Cat Dossett comes to us from Alivia, owner of party goods shop Bracket, who used some lovely pieces from her shop + other fun lines to celebrate. 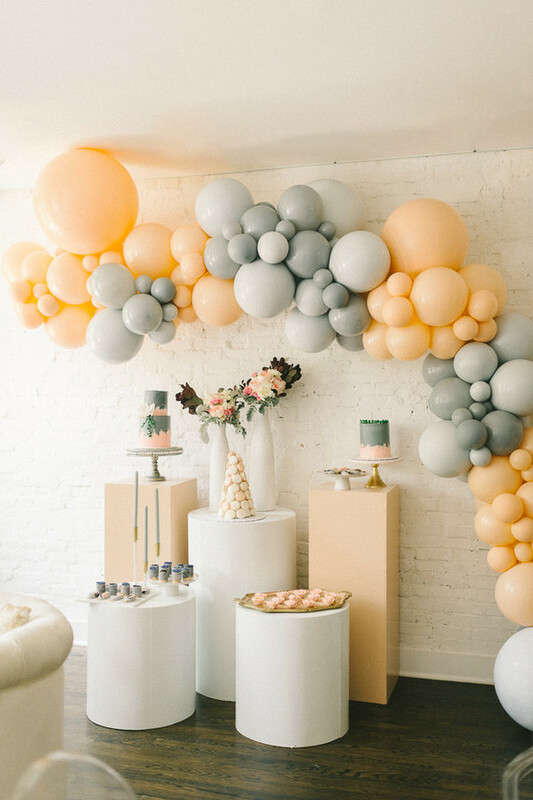 Aren’t these balloons the most fun? 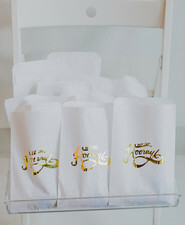 They’re from Alivia’s shop, along with the treat bags and place settings. 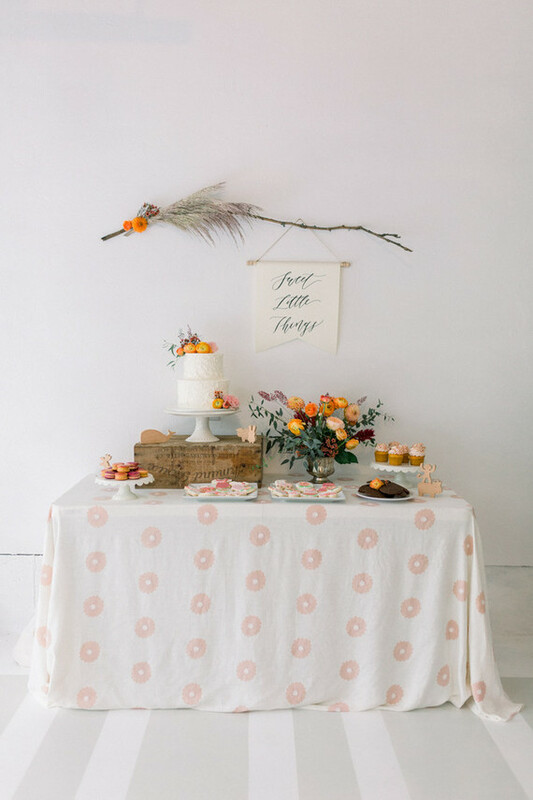 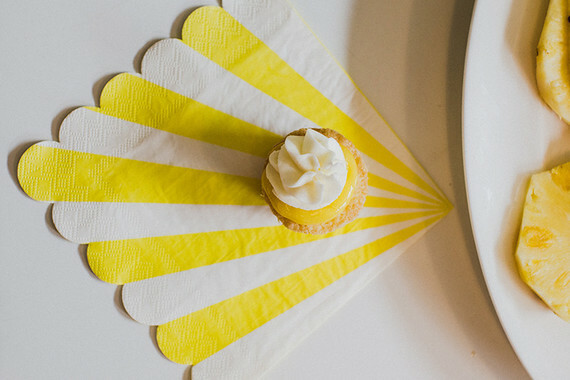 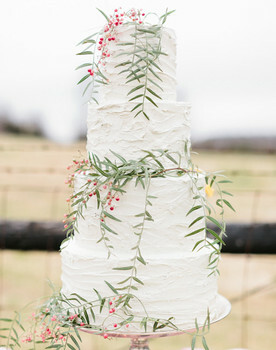 Our expecting mama also created this cheery table runner via a DIY on Sugar and Cloth. 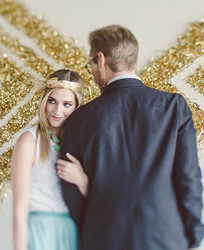 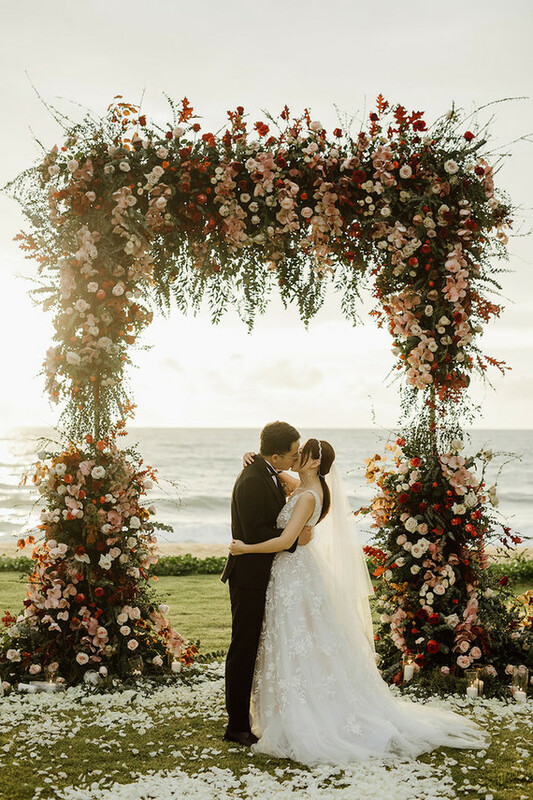 Love, love when something as simple as string lights just ties the whole thing together.